While Eternal Summers are recovering from SXSW, we at Scenic Recovery wanted to do a quick review of the band’s reissued EP on Chimney Sweep Records. 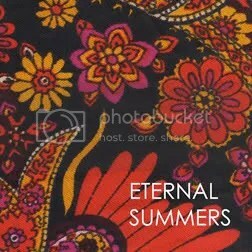 Although clocking in at under half-an-hour, the reissued Eternal Summers EP is one of our favorite local records so far. The combination of Nicole Hirschmann’s sing-shout vocals and reverb-heavy guitar style, along with Daniel Cundiff’s frantic-yet-precise drumming, makes for some of the catchiest indie-pop since Galaxie 500 hooked up with Kramer in the late 80’s. We recommend starting out with “Fall Straight Back”, the unofficial single “Able To” and “I Must Winter”. This EP is currently available for purchase at Bazaar Consignments, or at Chimney Sweep Records’ Online Store. You can preview tracks at the band’s MySpace page, or at Last.fm. This entry was posted in Music and tagged Chimney Sweep Records, Eternal Summers, Magic Twig Community. Bookmark the permalink.